Dr. Johannes Girgis and his team are strong believers in the importance of continuing education, and are always in touch with the newest techniques and equipment required for state-of-the-art dentistry. We also believe that prevention is the best medicine, and as such, we take the time to educate patients about their dental health. We want you to understand any problems or conditions that arise so you can make educated decisions about your own care. Any time you don’t understand something, please ask for more information. Our goal is to foster a friendly environment where patients feel free to ask questions. 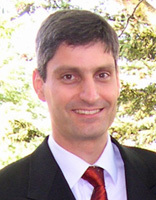 Dr. Johannes Girgis (Hannes for short) has been practicing dentistry for nearly 15 years. He holds a B.Sc. in Honors Cooperative Biochemistry from the University of Waterloo, and graduated from McGill University as a Doctor of Dental Surgery in 1996. He furthered his studies by completing a one-year multidisciplinary residency program at the Montreal Children’s Hospital, where he received additional training in children’s unique dental needs. Dr. Girgis moved to Ottawa in 1997 with his wife, Kylie, and has been practicing dentistry here ever since. He has three active young children who keep him busy as a devoted soccer dad in the summer and hockey dad in the winter. When he gets a little time to himself, he enjoys running, skiing, cycling and ballroom dancing. Dr. Girgis is a member of the Canadian Dental Association, the Ontario Dental Association, the Royal College of Dental Surgeons of Ontario, the Ottawa Dental Society and the Ottawa Dental Study Club. He also participates in the Ottawa Dental Society’s emergency referral service, working on call once a month to respond to dental emergencies for patients who have no dentist, or whose dentist is unavailable that day. 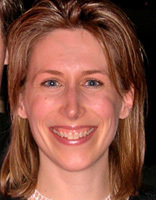 Lana is a certified dental assistant with 15 years of experience. She has a B.A. from Carleton University, and studied dental assisting at Algonquin College. Lana is a member of the Ontario Dental Assistants Association. She is very knowledgeable with all dental procedures, and has a special knack for making patients feel relaxed. Debbie, our dental receptionist, is the friendly voice you hear every time you call. She has 15 years experience as a dental receptionist. She can submit claims and predetermination to your insurance company on your behalf. She can also assist you with booking appointments, and answer any questions you may have as you get started as a new patient at Girgis Dental Care. 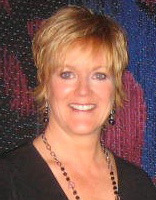 Ann is an extremely capable registered dental hygienist with 24 years of experience. She has held senior positions at the Ottawa Dental Hygienists Society and is an active member of the Ontario Dental Hygienists Association, Canadian Dental Hygienists Association, the Ottawa Dental Hygienists Society, and a registered member of the College of Dental Hygienists of Ontario. 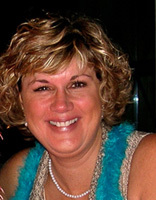 Ann is full of life, and makes every cleaning appointment an enjoyable experience. 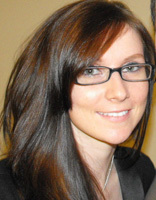 Claire, a registered hygienist, is the newest member of our team. She recently graduated with honors from Georgian College in Orillia. Claire is a proud member of the College of Dental Hygienists of Ontario, Canadian Dental Hygienists Association, Ontario Dental Hygienists Association and the Ottawa Dental Hygienists Society. Claire’s hallmarks are her enthusiasm and very gentle touch. Claire is happy to call Ottawa home now, and excited to start her new career.